Lightweight, portable, convenient, sturdy, and durable. Recommended for both beginner and intermediate sewer. Sew fast, accurate, and over several thicknesses with no effort. It has 100 Built-In Stitches that includes 9 Basic, 8 Stretch, 76 Decorative and 7 Built-in Buttonholes. Features Built-in Needle Threader, Top Drop-In Bobbin System with Clear Cover, LED Light brightens the Workarea. 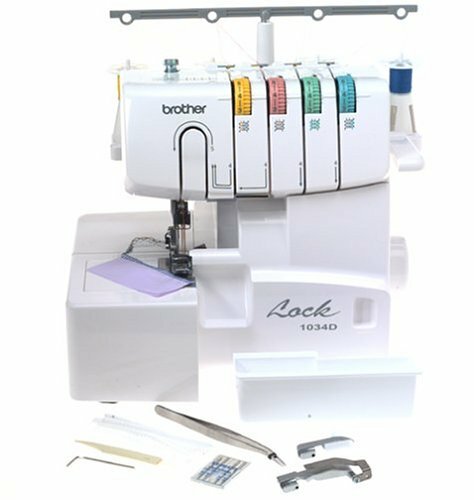 Additional features Programmable Needle Up / Down, stitch selection with a push button, automatic bobbin winder stop. 25 years warranty, includes accessories, and instruction manual has three different languages. The instruction manual has three different languages and having it on the same page could be a little frustrating to learn its functions. The number of options could be little overwhelming. The machine goes on only one speed. This is the summary of consumer reviews for SINGER | 7258 100-Stitch Computerized Sewing Machine. The BoolPool rating for this product is Very Good, with 4.40 stars, and the price range is $111.93-$189.00. 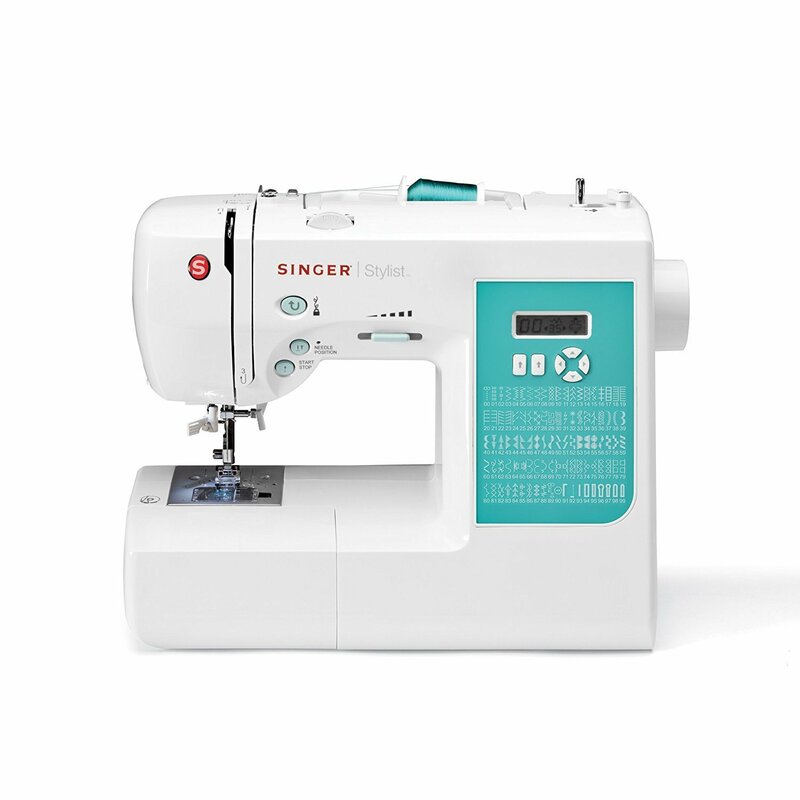 SINGER | 7258 100-Stitch Computerized Sewing Machine is lightweight, portable, convenient, durable, and sturdy. It has 100 Built-in Stitches that includes 9 Basic Stitches, 76 Decorative Stitches, 8 Stretch Stitches and 7 Buttonhole. 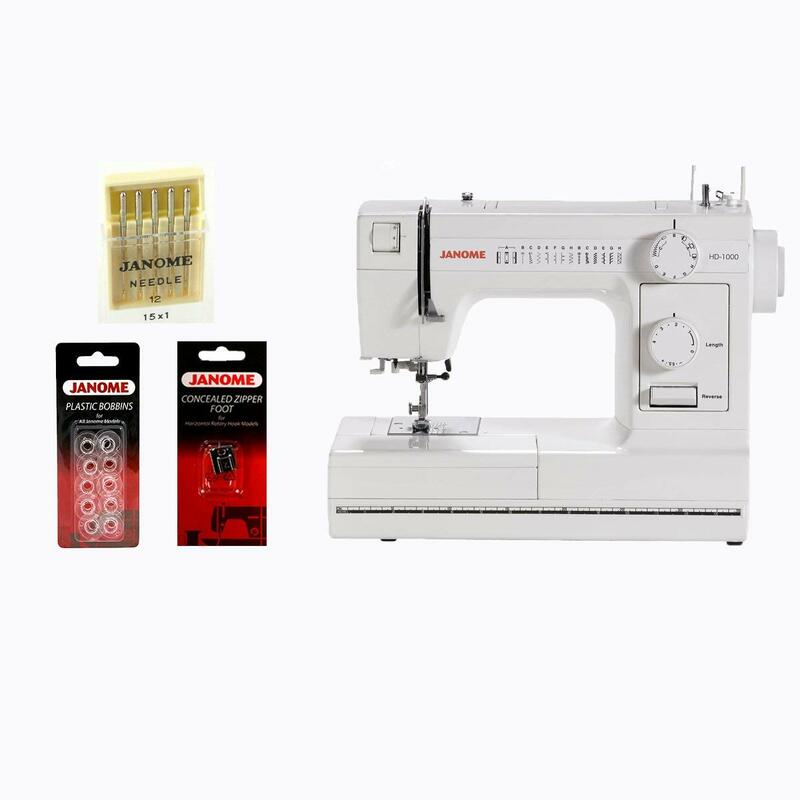 It is easy to thread with the Built-in Needle Threader, insert the bobbin with the Top Drop-In Bobbin System, see the bobbin thread supply with Clear Cover, view the stitching surface area with an LED light, and select and stitch different patterns with a push button. 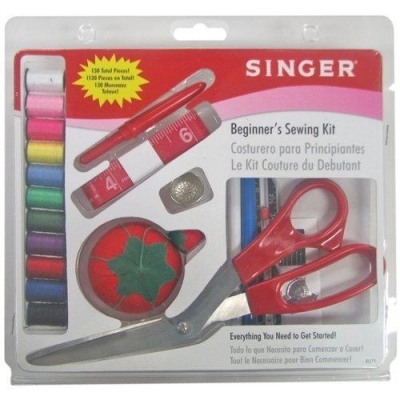 Users recommend SINGER | 7258 100-Stitch Computerized Sewing Machine for both beginner and intermediate sewer. The machine is user-friendly, easy to use, and understand. It is easy to thread the needle especially for those who have a vision problem. LED Display Screen is clear and easy to understand. It sews fast, accurate, and over several thicknesses with no effort. Easy to wind the bobbin and can monitor the bobbin while sewing. Some of them loved the different stitching patterns and the automatic buttonhole maker. However, a few found that the instruction manual has three different languages on the same page and that could be frustrating to learn its function, as a beginner the number of options could be little overwhelming, and the machine goes on one speed. Overall, quality and features of the SINGER | 7258 100-Stitch Computerized Sewing Machine is worth the price. The machine is easy to use and understand. Easy to thread the needle. LED Display Screen is clear and easy to understand. Great for a beginner and intermediate sewer. Needle is easy to thread. Everything is easy to use and easy to understand. The little details make the machine so easy to use (needle always returns to top, numbered threading path, super good light and more). LED Display Screen is clear and easy to understand. I'm finding the instructions very easy and it's super simple to use. The tension works great on Auto, but was easy to adjust in the rare case that it wasn't perfect. So far I've only made a few things, but it's fun and easy to work with this machine. Something simple and easy to use. This's great for me as a beginner, intermediate sewer for quick clothing projects without too many details. I'd recommend it to anyone but an expert sewer - who'd, in that case, already know what they were looking for. It sews fast and accurate. Easy to wind the bobbin. Can monitor the bobbin while sewing. Easy to thread, easy to wind the bobbin, easy to sew with. It sews very fast and accurate. I also have used a walking foot and it sews so perfect. Plus, I really like the "Top Drop-In Bobbin System with Clear Cover" feature, especially when I not sure whether I'll have enough threads from the bobbin to finish my project. I bought this as my first machine, and am learning to sew on it. This sewing machine practically sews by itself. I've used number 18 needles to sew polypropelene webbing. I'd imagine it'll sew denim no problem. Love the different stitching patterns and the automatic buttonhole maker. She loves sewing and loves this machine. I love all the different stitching patterns and I'm really excited to use more than just the straight line. So far, I've only really used the standard straight stitch and zigzag stitch. The pattern stitch selection is really cool. The automatic button hole maker is awesome. I love this machine and I love sewing because of it! Loving my new sewing machine! I love the stitches, the ease of use, the start/stop button, and most everything else. Quality and features are worth the price. What I found is that the quality and features are totally worth the price - which is really reasonable. I do recommend looking over the product materials first. There are a couple of features I really didn't think I'd care too much about, but I've ended up loving--the speed control feature, and the needle position feature. I highly recommend this machine!. Would recommend to anyone looking for a decent machine at a great price. The only thing I couldn't get to work with no effort was the button hole feature. The one-step button hole is freakin' fabulous and the decorative stitches work well with only minor tension adjustments necessary. Runs very smoothly, wonderful fun variety of stitches, easy to use. I'd highly recommend this machine. The instruction manual has three different languages and having it on the same page frustrate in learning its functions. Came with all of its parts, not damaged, came in time. 2. The instruction manual has three different languages all on the same page, so threading your machine and learning its functions the first time will be a little frustrating. 3. The variable speed has proven to be very useful as a first time sewer. For those starting off for the first time, there are some really good tutorials we found online, some of them paid ( less than $20 for like 10 videos ). so I recommend watching that first if you're a beginner like me. It also has a lot of different parts to switch out for different sewing techniques which is so great! Tried to use it first time yesterday and sadly only after the return window has closed and my trouser that I was hemming is just stuck in the machine--too scared to pull it out as it'll break the needle and/or delicate parts of the machine. As I said before, I've never used a machine and my first time using it I sewed a baby gift in one hour! I researched for a long time before making my decision, learning about drop-in bobbins and zipper foots... but of all the reviews I read none of them told me the things I needed to read as a first-time buyer. I sent my machine in for repair at the end of November 2016 I got it back right in time for my birthday, around April 21, 2017. User-friendly and sews over several thicknesses with no effort. LED light works fine. As a beginner, the number of options could be little overwhelming. 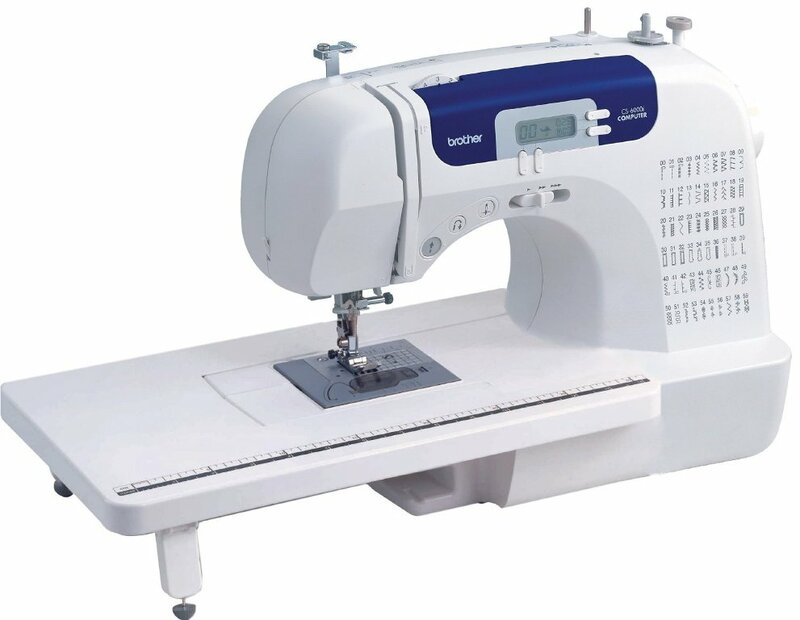 I love this machine, its user friendly, and sews over several thicknesses for me with no effort.I wish the little windows were lighted, but a small light works fine-at this price, I'm still impressed. 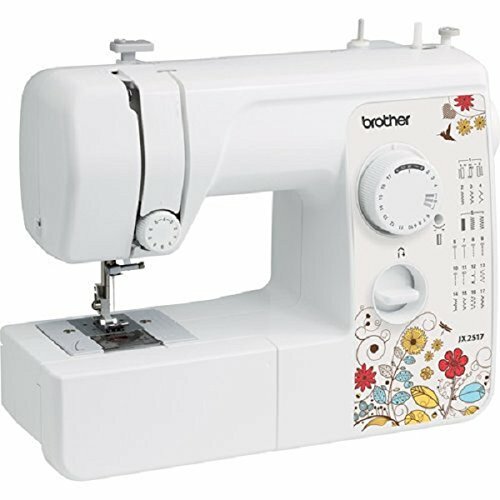 Last year I started an exciting project to learn how to sew and after my research in the internet I ordered this machine. My biggest problem now is finding things to sew that aren't too advanced and learning about materials and patterns. A little tip for fellow novices, to ensure you sew a straight line, put painters/masking tape to extend the line under the little foot. This sewing machine is a dream machine and for someone who's done very little sewing experience (due to a terrible, non-stop jamming kenmore machine that made me so frustrated over the years I just quit trying to learn to sew) I'm ready to find the next sewing project!. This machine takes the guess work out of sewing and makes my projects a breeze. As a beginner, the number of options was a little overwhelming at first, but you can easily start with the most basic functions and only use the more advanced functions as you become more comfortable. I'm watching youtube videos to help with the learning process and thought that if I end up loving this, I didnt want a really basic model machine and then have to spend more money on an advanced model, so after extensive research, I chose this one and even though I haven't had it for long, I absolutely love it!. The machine goes on one speed. Come with a detachable foot pedal but can use start/stop button if you don't want to use the foot pedal. The speed control is a really nice feature as well. The machine only goes one speed, no matter how hard I press the foot pedal. This does come with a detachable foot pedal but also a start/stop button for if you don't want to use the foot pedal. 4. The slider to control the speed of the machine without the foot pedal also gives some speed control when the foot pedal is attached. There's a speed control slider which lets you adjust the speed no matter how hard you press, which is suuuuuuper nice for beginner. And when piecing together long strips of fabric, in particular, the ability to sew without the foot pedal attached is a nice luxury. 4.) Lots of features, like needle down and speed adjustment. foot pedal, even for beginners, is much more intuitive. My most favorite feature is the maximum speed lever, no matter how much you press on foot peddle it'll only go so fast. You can also work without the foot pedal if you prefer. Features self-threading needle, clear see-thru bobbin case, drop down needle position, and thread cutter. Easy to thread the needle for those who have sight problems. Pros: It's easy to thread and adjust. My favorite features that this machine has that my old one didn't, is (1) the self threading needle, (2) the clear, see-thru bobbin case so you always know how much bobbin thread you've left (3) the drop down needle position feature for easy pivoting around corners, and (4) the thread cutter. The procedures for threading bobbins as well as the needle are easy to learn. Easy to thread for those of us with sight problems. I still have trouble threading the thread especially at the thread guide. The bobbin thread didn't catch. I didn't use the automatic threading since I find the manual threading easy and convenient. Don't get discouraged or feel its to technical, take one step at a time, most problems with machines, such as threads breaking, machine jamming etc.etc. 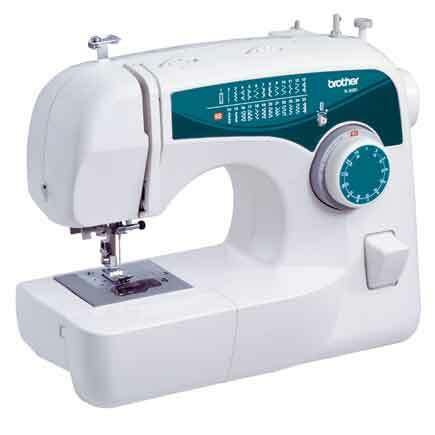 is due to tension adjustments, improper threading, incorrect bobbin or winding or incorrect needle for fabric. I love the drop in bobbin with the little window to see how much bobbin thread is left and the automatic tension. 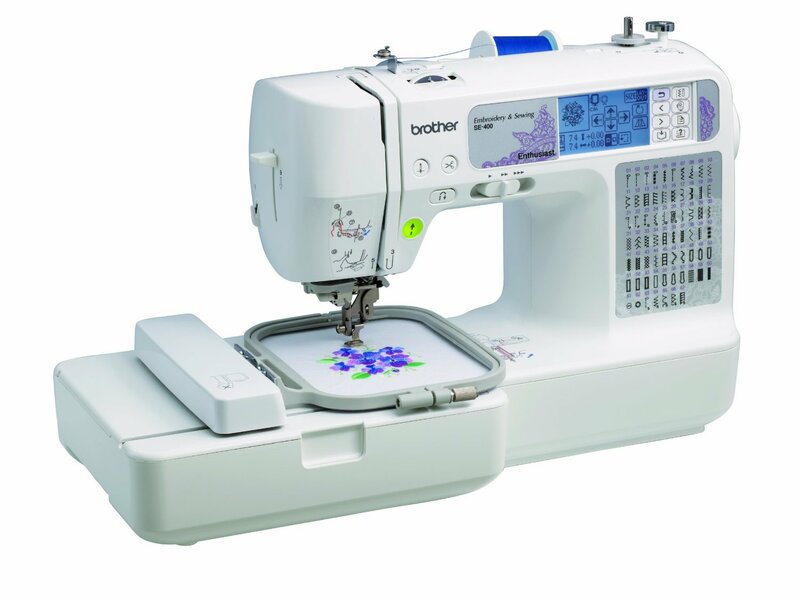 Review of - Brother Jx2517 Lightweight and Full Size Sewing Machine.